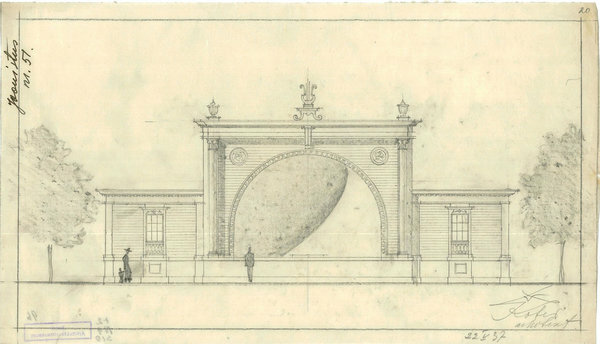 During the large-scale restructuring of the gardens in 1936–1937, an open-air concert square was constructed on the Swan Pond axis based on the so-called folk park principles and designed by the German horticulture company Späth. It came complete with a pond with fountains and a prominent wooden bandstand (architect Alar Kotli). A rock garden was planted on either side of the staircase. The main planting material was domestic white elm. 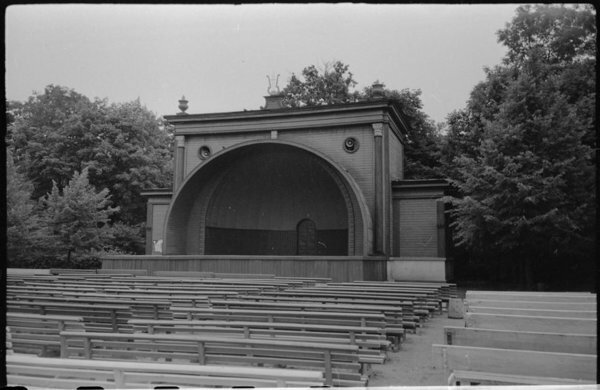 The wooden bandstand was destroyed in the early 1990s. 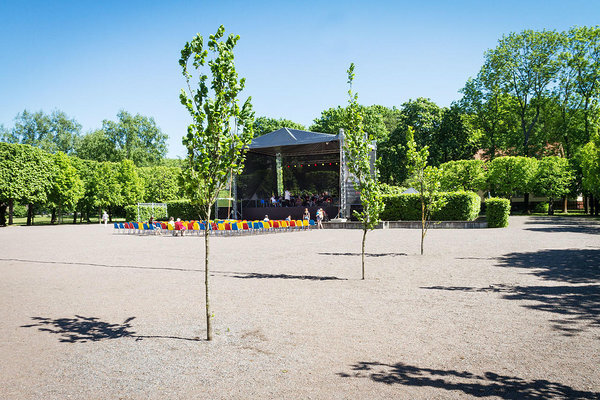 a bosquet-style “green theatre”. The idea of green theatre comes from Germany, from Belvedere Park in Weimar. The terraced rock garden was replaced with roses and renamed as Rose Hill.